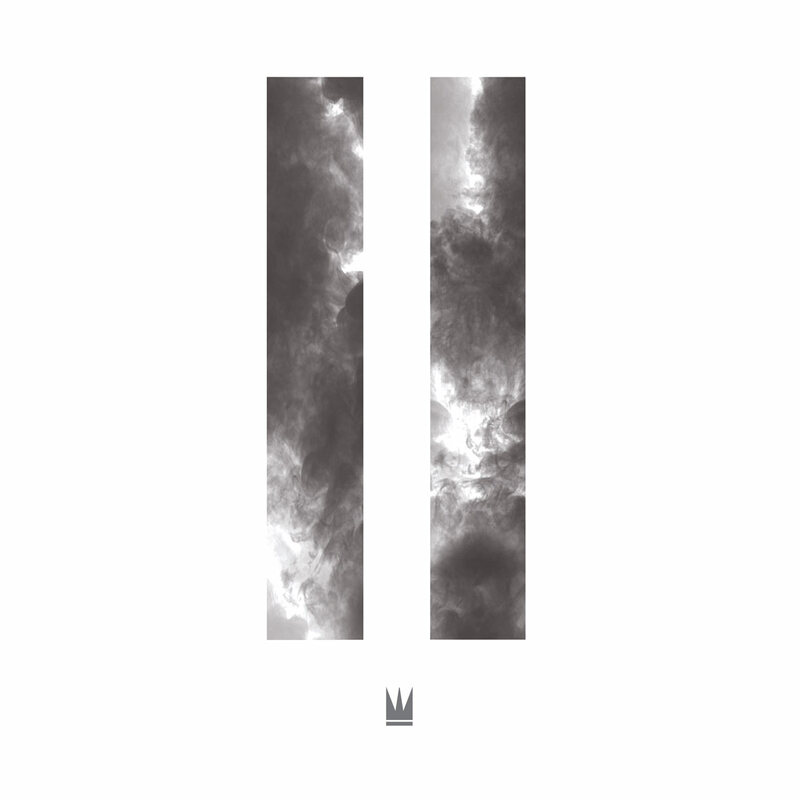 Already gaining a fan base and an immense popularity as one of Christian music’s freshest electronic/pop/EDM remix groups, Capital Kings, a duo formed by Jon White and Cole Walowac, have worked with and remixed songs from Britt Nicole, Mandisa, Sanctus Real, David Crowder*Band, Group 1 Crew, and TobyMac. Having unveiled their highly popular and critically acclaimed self-titled 2013 label debut album; Capital Kings also released their first remix album called REMIX:D last year, as well as dropping a new single “Be A King”, as well as the smash hit “Fireblazin’”…and needless to say I was completely hooked, as I was eagerly anticipating something new for the experimental duo. And that ‘something new’ has finally arrived this year, as recently Jon and Cole unveiled their latest project II, their full length sophomore album. For me, from the first synth and remix hooks of “Afterlight” to the ending worship chorus of “Fireblazin’”, this time sung with Chris Tomlin; is one of the most complete and mature 2nd album offerings I have heard in a while. But you guys don’t need to take my word for it. Even though I’ll run through my opinion of these tracks, I hope and pray that Capital Kings ministers to your soul and spirit on this album like it has done with me! “Fireblazin’” really took off last year, so much so that when the band recorded the melody, the ‘single’ released was actually a 4 ‘song’ EP, with this single boasts 3 more versions besides the original- the radio version, and two remixes by Neon Feather and Soul Glow Activatur. Here on II, we have just two versions, and though we may have heard it all before last year, the guys have still done a tremendous job, especially with incorporating Chris in with the new version. Even after all this time, “Fireblazin’” is still very catchy, and I have had the tune in my head the whole morning. Starting off with a strong electronic and remix presence, complete with gang vocals, electronic drums and captivating production, it is the 1 minute 30 second long majestic and orchestral intro before the version with Chris Tomlin, that reminds us just how versatile these guys are and how on fire their hearts are for Jesus! Though “Fireblazin’” is the album closer (on both the standard version and the deluxe version), and generally on any artist album the stronger songs are at the front end; Capital Kings have definitely saved the best for last! As Jon dives in and immediately praises God in this worship anthem. It’s something different that these guys have done, and it’s pretty cool to see them singing something that could easily sung by Jesus Culture or Hillsong. Though Cole doesn’t have a rapping part in the entire 4 minutes and 18 seconds, the song still is powerful and moving nonetheless, especially the stirring vocals from Jon, as well as Chris in the second verse. As I proclaim that ‘…we’ve got a fire blazin’ in our hearts, no we’re never gonna stop, until the whole world knows who You are, who You are, who You are…’ as ardently highlighted in the catchy chorus, there’s this sense that the song could blow up bigger than ever, and really propel Capital Kings into the CCM/pop/dance scene. Which is pretty awesome, as Jon and Cole are super talented! And while I could go on and on about the first single, this album is more than the one track, so I’ll just stop and let you listen to the song and make up your mind! A strange title for an album opener, the musically daring “Afterlight” (as well as the 1 minute remix heavy intro) is probably the melody that showcases the band for what they are musically- am EDM pop group trying to bring their remix and electronic craft to the world. And bring it they do, with the out-of-the-box melody being an almost wordless display of musical mayhem, calamity and calm and serenity at the same time. I’m not sure if I’m making sense here, but it’s a song you have to experience firsthand to fully understand what the band were going for here. It’s a melody that fits right at home on the dance floor, with the minimal words of how we’re living in the tension of the here and now, the now and the not yet, sure to stir up some heavy questions and discussion for all who listen! Musically changing to the other side of the spectrum with the grungy guitar led Owl City like potential single “Forever” and CCM/worship-esque “Into Your Arms”, the duo provide me with some of my favourite tracks of theirs period. “Forever” is a tad over three minutes, but is probably the most impacting three minutes on the album, as Jon earnestly and fervently gives praises to God, recounting that ‘…You take us higher than Everest, give us wings to touch the sky, Your love it leaves us weightless, You and I, You and I will live forever…’. As we are encouraged to praise God because of His sacrifice allowing us to be in communion with Him and to live forever, I am left in wonderment at the enthusiasm of the two newcomers destined to be a greater force in CCM in the coming years. “Into Your Arms”, driven by pulsating drum beats and an infectious groovy mid-tempo guitar infused atmosphere, once again cements these guys in the EDM and CCM market, as we are introduced to a simple yet hard hitting truth, that ‘…I’m falling to where it all began…call it my only shot, cause You’re the only hope I got, no looking down I’m jumping off head first, I’m falling, I’m falling into your arms again…’. Jon and Cole really work well together, and it definitely shows here, as we are reminded that God holds us in His arms all the time, and we can have reassurance that He is here with us. Another recording of the song as a remix in the deluxe edition of the album gives this impacting melody extra depth as well. The more musically experimental “Live For The Drop”, similar in style to “Afterlight”, doesn’t explicitly speak about Jesus, but rather the power of music in general, that it can touch lives and impact way beyond barriers and limitations, as Jon and Cole fervently and passionately relay that ‘…like a heartbeat, it keeps me going on, like the remedy, it’s something way beyond, consuming me like a magnetic pull, it’s uncontainable, so uncontainable…’; while the interesting drum led catchy quicker tempo “Upgraded” features a layout that breaks down the structure of ‘verse, chorus, verse, chorus’ as Jon and Cole opt for a more free flowing track. Reiterating that now that we know God, we are upgraded with the knowledge of our life having more meaning and purpose than before. While the double or maybe triple meaning ethereal, mysterious and reflective piano led “Satellites” could be as a metaphor for brothers and sisters in Christ, as the duo highlight that as many as there are satellites in the world, communicating with each other and serving different purposes to keep the technological and communications industry afloat; so too does the body of Christ work together as while we all have one goal to make God’s name famous, we each service different purposes, according to how God has wired us and what He has called us to do with our lives. Led by the acoustic guitar, the stripped down, contemplative inspiring melody “Believer” shows off Jon’s explosive vocals, as we are eloquently reminded about how because of creation all around us, we can declare with certainty that we are believers in Christ, that ‘…I’m jumping out in faith, I, I’m never hidin’ this light away, I am more than a dreamer…’; while “Northern Sky”, a stirring duet with rapper KB, moves back into experimental and remix again, as Jon points out that one day we will be with Jesus in the northern sky aka heaven, so while we are on Earth we should live life to the fullest. As the duo and KB impressively work well together, Jon passionately reminds us that ‘…one day the city will turn into dust, so until that day comes, I’ll be liftin’ You up…’, a refrain we can all proclaim as we are worshipping God. While the electronic synth led almost instrumental “In The Wild” brings forth the notion that we are alive the most when we are ‘in the wild’, free in Jesus because of His sacrifice; what impressed me most of all is that “This Is Not A Test”, previously on TobyMac’s album of the same name, and featuring Jon and Cole on guest vocals, is present here as well, even though it is in remix form, and on the deluxe edition. Though I wasn’t a fan of electronic music in 2013, Capital Kings have changed my mind completely and wholeheartedly with their debut alubm, remix album and now new sophomore album. Their self-titled debut on Gotee Records is near flawless, and the duo fit in quite nicely on Royal Tailor’s “Ready Set Go” as well. Having said that, and not knowing what to expect musically, as the guys have said that they are open to recording across many genres, including country; this new album II is head and shoulders above anything they’ve ever recorded! One thing is for certain- Capital Kings’ music will change many lives. Well done guys, you deserve all the praise and applaud! So what are you waiting for everyone, go buy II, you definitely won’t regret it!